Move in day at Belmont University in Nashville, Tenn. August 18, 2017. Applications for freshman admissions for Fall 2017 saw a significant increase of 6.5 percent and resulted in an accomplished incoming freshman class of 1,623 students, the largest in University history. 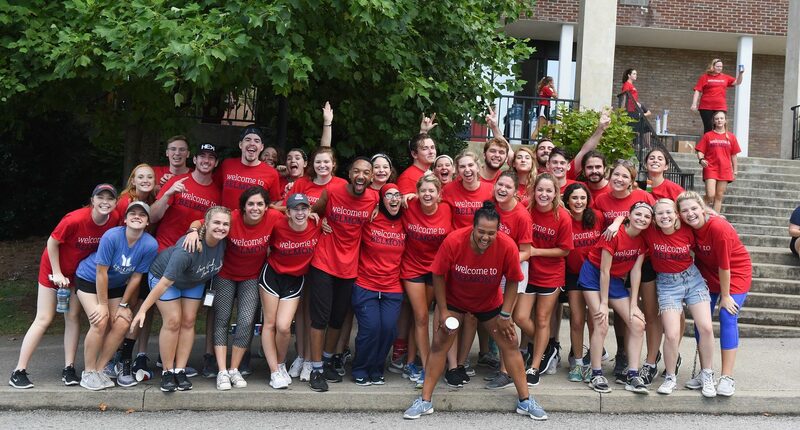 Belmont also continues to be among the top destinations for transfer students as 478 transfers joined the campus this fall. Graduate program applications attracted 659 new students to the University’s master and doctoral programs, also an all-time record. This year’s incoming freshman class hails from 48 states and represents nine foreign countries, with 72 percent of the class originating from outside of Tennessee. As a group, Belmont’s Class of 2021 scored an average of 26.4 on the ACT and held an average high school GPA of 3.67. Of those submitting a class ranking, 27 percent were in the top 10 percent of their graduating class, with 57 percent in the top quarter. Additionally, this fall’s freshman class at Belmont features the highest number of National Merit Finalists in University history. Students named National Merit Finalists are recognized for possessing the strongest combination of academic achievement and co-curricular accomplishments. Belmont’s student body currently consists of 6,569 undergraduate students and 1,511 pursuing graduate/professional paths.